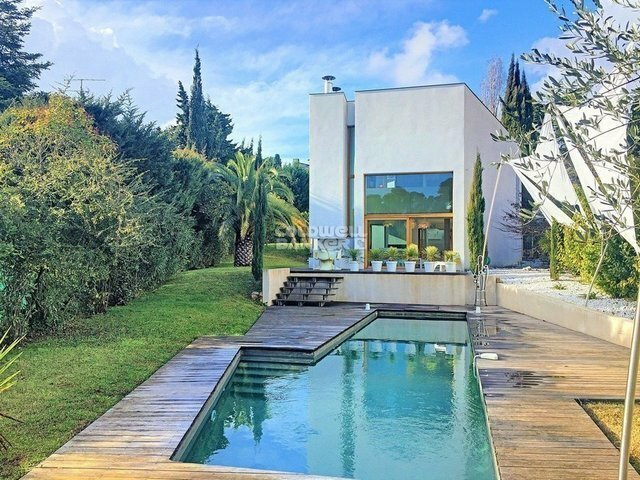 Contemporary villa in a residential environment , located in the heart of a quiet and wooded area. The entrance hall is illuminated by a glass roof. Comfortable living room with high ceilings and fireplace. The dining room is opening onto a fitted kitchen with utility room. Large basement. Garage.